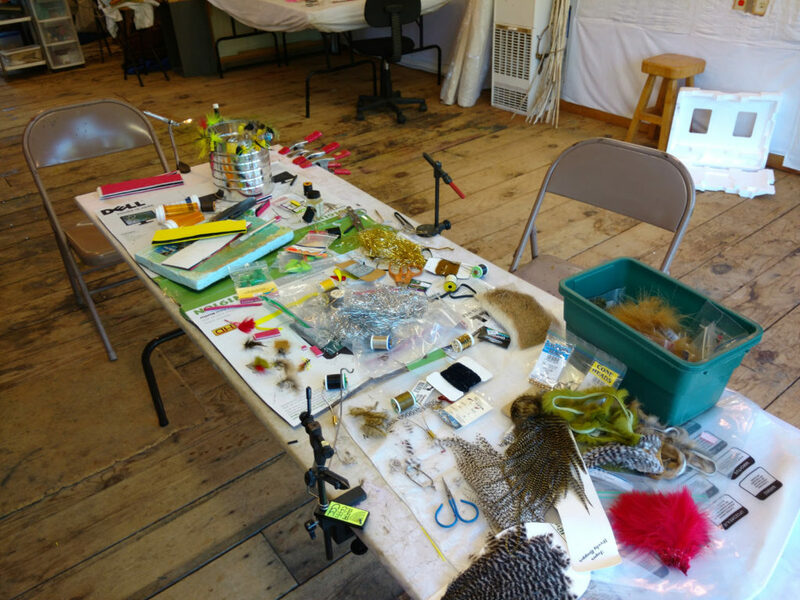 This weekend has been our annual fishing camp, and my studio was temporarily converted into Fly Tying Central. But once the feathers and flash are picked up this afternoon, I’ll start spreading out natural dye materials to dry while I’m away teaching at Convergence. 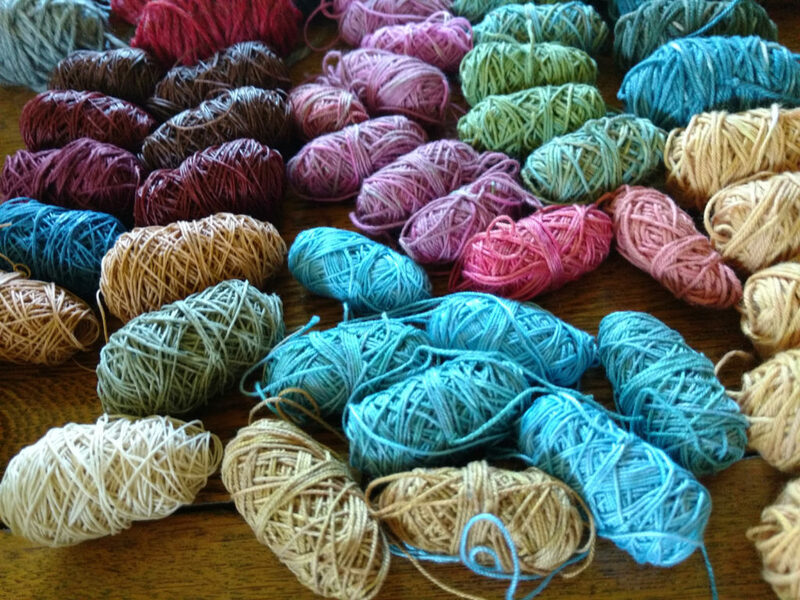 Convergence is the Handweavers Guild of America biennial conference. Packing for an event like this is best done without any distractions — at least for me. At least if there’s anything that has to be counted. So I got all that done before our company arrived on Friday. Once the guys left to fish this morning, I got laundry on the line so clothes will be ready to pack tonight. That leaves part of the afternoon and some time tomorrow morning for harvest. 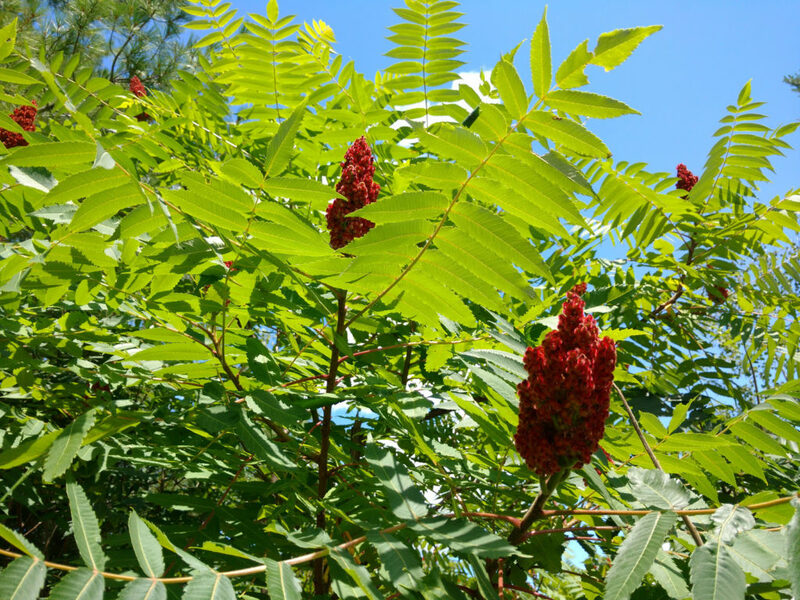 I’d like to dry more of the staghorn sumac berry clusters this year. In addition to using them in natural dye, I use the sieved dried berries as a seasoning and in tinctures and Bill makes wine and soda from the fresh berry clusters. Tansy is also ready to dry. 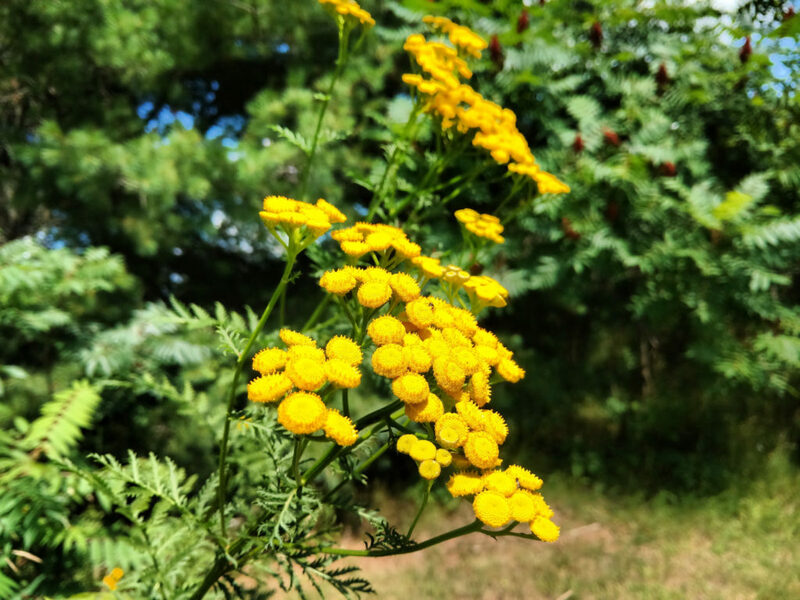 Every year when I write about tansy I get messages advising me how invasive it is. I’ve been pulling it out at my place for 27 years, and never managed to eradicate it. At least now I can use it for dye. And believe me, there’s plenty in the ditches in my area and this is the perfect time to harvest it. 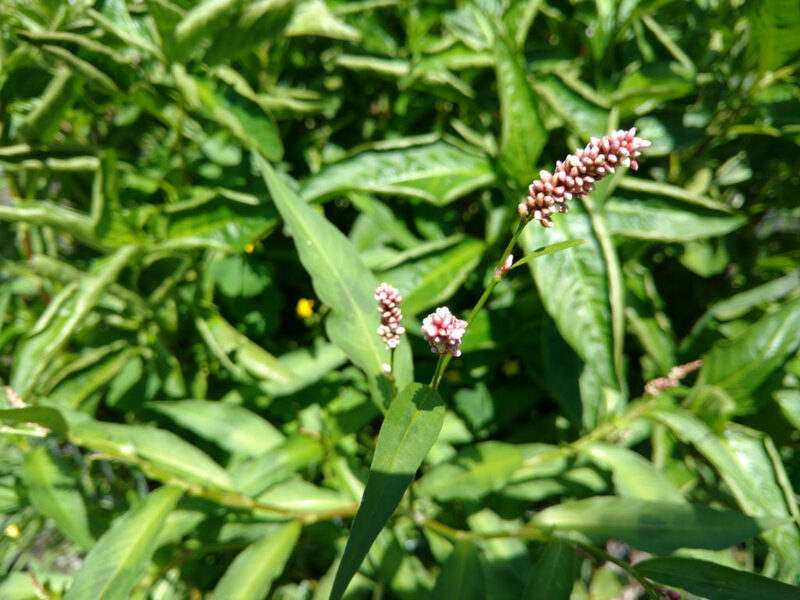 When I get back from Convergence, it will be time to dye with fresh-leaf indigo, which is only thriving this year because my friend Julie started the seed for me and Bill has kept it watered. And unless I’m mistaken, it seems that some of it has begun to flower. Last year, none of it flowered until September — after I dug it up and took it indoors to protect it from frost. What’s different this year? No idea. But it would be nice to have it set seed without having it in my living room through Christmas.